Ministry of Finance (Department of Revenue) Notification No. 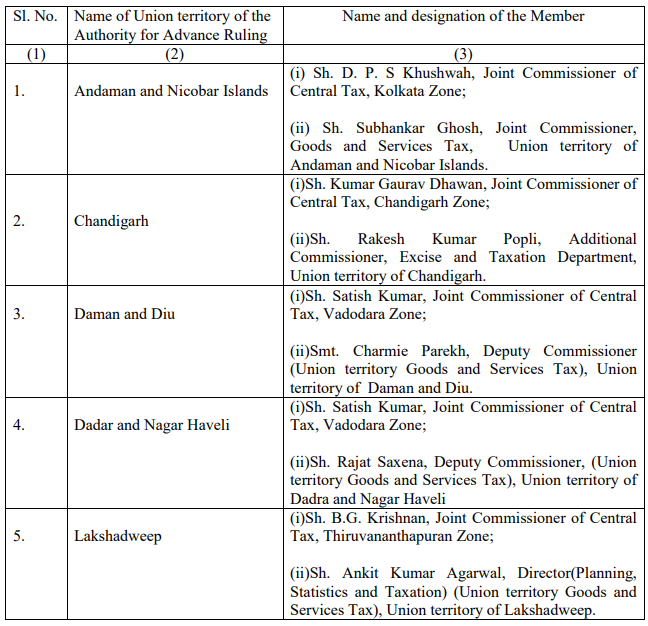 14/2018 - Union territory Tax dated the 8th October, 2018 — Constitution of the Authority for Advance Ruling in the Union Territories (without legislature). Ministry of Finance (Department of Revenue) Notification No. 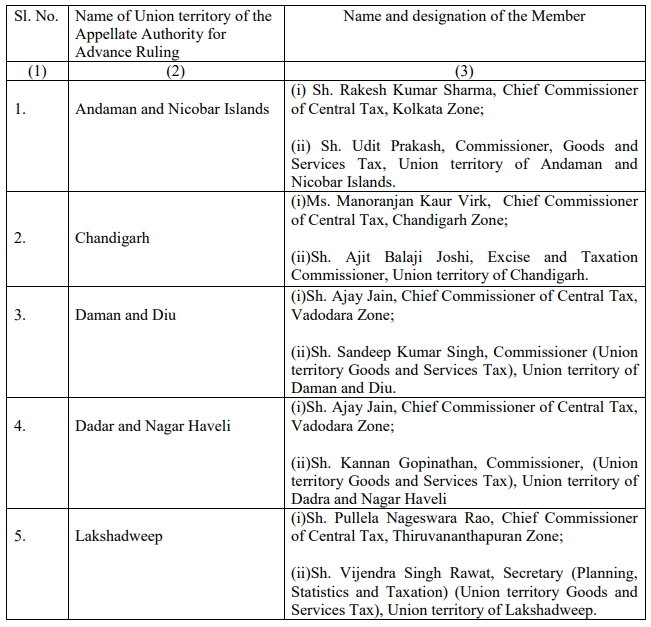 15/2018 - Union territory Tax dated the 8th October, 2018 — Constitution of the Appellate Authority for Advance Ruling in the Union Territories (without legislature).